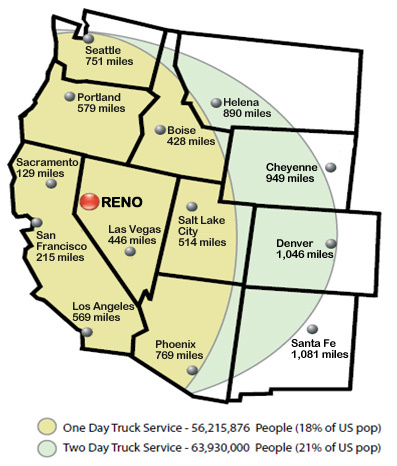 Logistic Edge has moved into the Reno, Nevada market to continue our commitment of providing customers with the most cost effective warehousing solutions. The facility will provide drop shipping to individual customers along with bulk order shipping to Distribution Centers. Inbound shipments can be arranged from the Port of Oakland in Northern California, domestic locations within the United States, or transloaded from our facilities in Southern California.